so they can stay connected with friends & family! 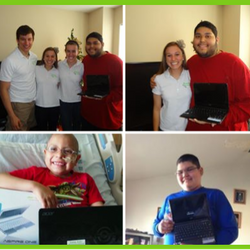 Keep Kids Connected is a Non-Profit Organization providing Tablet computers to kids with cancer or life threatening illnesses. In addition, money raised is donated towards cancer research. 889 Tablets/netbook computers Delivered to Date! IT ALL COMES FULL CIRCLE! 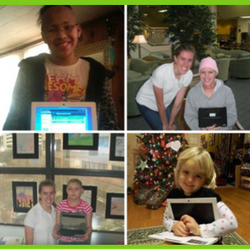 On March 18, 2009 at the age of 13, Keep Kids Connected founder, Caitlyn Mortus, became a patient at MD Anderson. 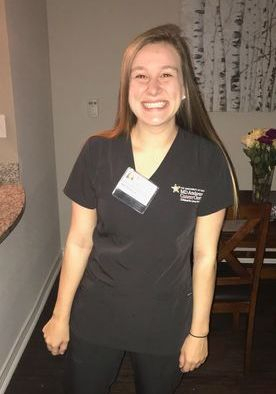 On Monday, October 15, 2018, she started her career as a pediatric oncology nurse at the hospital that helped her beat cancer! The kind, compassionate, and caring nurses that helped treat her during her journey with cancer were directly responsible for Caitlyn's decision to go to college and pursue a degree in nursing. The world-class care she received as a patient at MD Anderson was instrumental in her decision to seek a job at the hospital when she graduated from college. She is looking forward to helping to treat kids battling cancer and hopes to be an inspiration to them in the same way the nurses that helped treat her were an inspiration to her. Keep Kids Connected is part of the Combined Federal Campaign. Use CFC #48638 when making your donation. 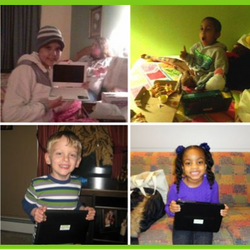 We are a Non-Profit Organization providing tablets to kids with cancer or life threatening illnesses. In addition, money raised will be donated towards cancer research. 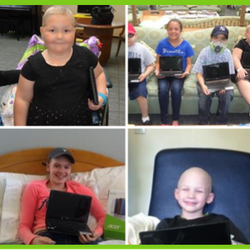 Keep Kids Connected provides tablets to children with cancer or other life threatening illnesses so they can stay connected with friends & family! © 2018 keep kids connectedTo the The Power of Social Healing. All Rights Reserved.